COMMENT: The Davies Commission – On the right track? Aer Lingus has announced its new premium three course meal choice, ‘Sky Dine’, available to pre-order now for customers travelling in Economy Class on transatlantic flights between Dublin, Shannon and the USA. The first meals will be delivered on board on 14 February. SriLankan Airlines becomes the first airline group in the Indian subcontinent to adopt Amadeus’ Altéa IT suite, an advanced ‘next generation’ reservations, ticketing, inventory and departure control process. The agreement will help facilitate the airline’s entry into the oneworld global alliance. Currently Amadeus is the standard IT platform for the alliance with more than half of the members of oneworld adopting the suite to date. Malin+Goetz is partnering Delta Air Lines with premium travel, business and lifestyle accessories brand Tumi and skincare product brand Malin+Goetz to provide an enhanced amenity kit in the intercontinental BusinessElite cabins of its international flights. The new amenity kits will debut onboard later this month. CTT Systems of Sweden is to engage with easyJet for a 12-month trial of an innovative Zonal Dryer system to significantly reduce aircraft weight. 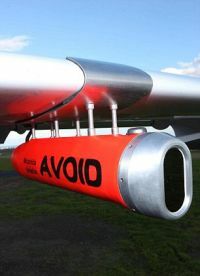 Pioneering in its concept the scheme is to install the units, each of which weighs less than 30kg, to the crown area of four of easyJet’s A320 aircraft which, it is hoped, will reduce weight-increasing moisture by up to 250kg on each flight – the equivalent of 12 hold bags plus the additional benefit of improving air quality for the passenger. A report from accountants PricewaterhouseCoopers, commissioned by British Airways, easyJet, Ryanair and Virgin Atlantic suggests that APD is costing the UK 0.45% in GDP per year, and nearly 60,000 jobs between now and 2020, and that lower APD levels would result in higher revenues for the Treasury from a boost in growth. 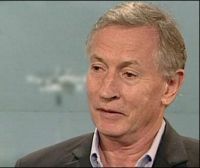 The European Court of Justice (ECJ) has ordered Ryanair to compensate a passenger who was forced to wait seven days for a flight during the 2010 ash crisis. Ryanair had attempted to avoid costs by arguing that the Iceland volcano eruption was so extraordinary that normal rules relating to cancelled flights should not apply. With the importance of resolving the question of new runway capacity for the UK so critical, many in the industry will have received the first two publications from the Davies Airports Commission covering Guidance and Aviation Demand Forecasting with eager anticipation. The good news is we have a timescale. The bad news is that the industry and other interested parties are going to have to repeat a lot of detailed work at their expense to respond. This is in marked contrast to the Government's recent commitment to HS2 when all the studies for that were paid for by Government. Clearly more to European standards than its competing US North American airlines, Air Canada is to introduce a fully fledged International Premium Economy Cabin. Steve Ridgway, outgoing CEO of Virgin Atlantic, signed off his 23 years at the airline with a typicallly candid speech well received by a packed Aviation Club audience in London last week. 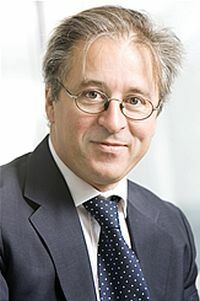 Sitting with him at the top table was his successor, Craig Kreeger, former London resident and now ex-American Airlines. Steve highlighted his pleasure with the Virgin / Delta Air Lines deal. By coincidence, the next club speaker is Ed Bastian, President of Delta. Mr Kreeger will no doubt find his speech interesting as well. 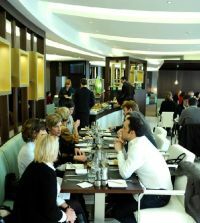 Paris Charles de Gaulle Airport has a new Etihad Airways executive lounge in Terminal 2. It is designed to meet the surging passenger numbers on the airline’s services to and from the French capital which is now double daily and has grown 55% over the past 18 months. Etihad is the only carrier on the route, which it code shares with Air France/KLM. 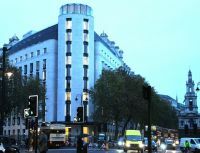 Melia’s new ME flagship hotel in London’s Strand will finally open 1 March. It will certainly set new standards for London’s top grade hotels and will make an interesting comparison with the Shangri-La Shard, due to be unveiled in May. 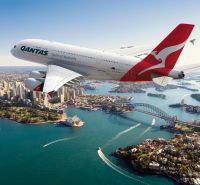 Not exactly in rude health, certainly with regard to its international operations, Qantas has announced a revamp of its Asian operation. The new route schedules start on 31 March coinciding with the opening of a new lounge at Singapore, followed by one in Hong Kong in September. 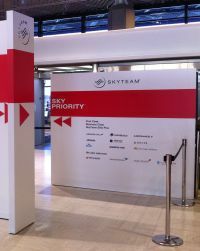 It is a first, and might finish up being copied, but at Tokyo Narita a new SkyPriority fast-track security lane has opened, offering SkyTeam’s premium customers a speedier airport experience. Virgin Atlantic has a similar operation at Heathrow Terminal 3, and other airlines too have dedicated security arrangements but this appears to be a first time for an alliance. The “Rolls-Royce of beds” is how Travelodge Chief Executive Grant Hearn described the budget hotel group’s new sleep offering. Produced by Sleepeezee, bedding experts of renown, the ‘King Size’ beds will replace more than 30,000 units ‘time expired’. Part of a £57m refurbishment scheme for its 500-plus hotels, Travelodge has also unveiled its new room design. 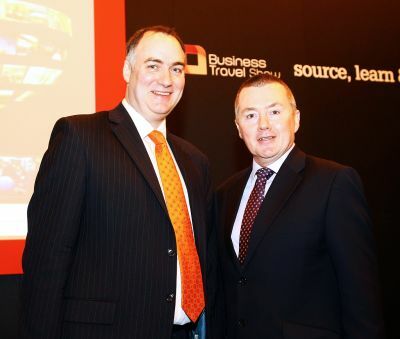 Giving the opening address at the Business Travel Show (BTS) last week, and in his role as President of the London Chamber of Commerce, IAG Chief Executive Willie Walsh offered a bright future for British Airways. He noted that with the takeover of bmi the airline was up to 680 daily Heathrow departures (from 600) including new routes to the Far East. Probably with that in mind he said that the Government’s visa policy was “not fit for business”. 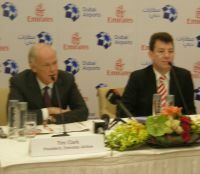 Emirates has become the first airline in the world to dedicate a complete terminal to the Airbus A380. After a ‘soft’ opening, Concourse A at Dubai’s Terminal 3, with 20 gates, is now fully operational. During its first month it handled 589,234 passengers on 2,450 flights with 461,972 pieces of luggage. 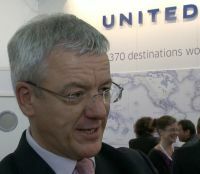 Bob Schumacher of United Airlines has been voted Chairman of Board of Airline Representatives in the UK (BAR UK), the industry association that promotes the business interests of scheduled airlines with a UK operation or representation. This follows current Chair Sandra Bloodworth’s (Royal Brunei) retirement from the industry. 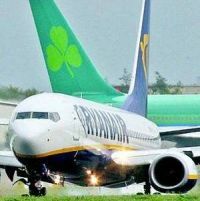 The long running saga of Ryanair’s bid to acquire a controlling shareholding of Aer Lingus is likely to reach its culmination in the next few weeks when the EU makes a final decision on ownership. 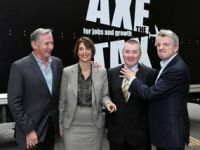 It would be a case of at least third time lucky for the Michael O’Leary run airline, previous attempts thwarted by the regulator. For the first time London City Airport is to offer flights to Norway care of Flynonstop, a new carrier based at Kristiansand Airport, at the most southerly point of the country. According to Flight International Qatar is not a happy camp, with Rizon Jet, an executive operator which also has a significant operation at London’s Biggin Hill executive airport, up in arms against the country's civil aviation authority. 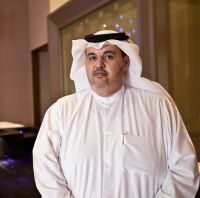 It has accused the authority, and indirectly Qatar Airways who operate both the national airline and international airport of “unfair competition” by creating “hindrances that make it impossible to sustain a viable business”. The Business Travel Show (BTS) pre-show party was sponsored by Skyteam and held at the Olympia Hilton, a fine venue and next door to the exhibition centre of the same name. Olympia will be home of BTS after Earls Court closes next year. Host for the evening was Henri Hourcade. Air France/KLM General Manager, UK and Ireland. He was in a buoyant mood noting that 15 of Skyteam’s 19 members operated out of London, and all except CityJet (London City) and Vietnam Airlines (Gatwick) from Heathrow T4, arguably the best terminal at the airport. 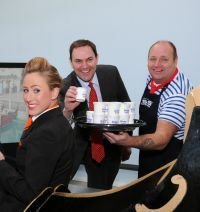 Last week easyJet launched a new service from Southend Airport to Venice and announced Edinburgh as a fresh destination. 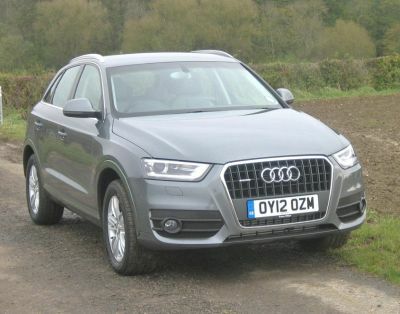 Sales Director Paul Simmons says that Southend is performing well and is above budget. Operating on a Monday, Wednesday, Friday and Sunday, the flights complement the airline’s current daily service to Venice from Gatwick. Also announced last week is a six days per week (no Saturday) all year round service from Southend to Edinburgh starting on 2 May. The airline already serves Stansted from the Scottish capital with four services daily, and at London City British Airways competes with Air France/CityJet with up to 11 daily rotations.